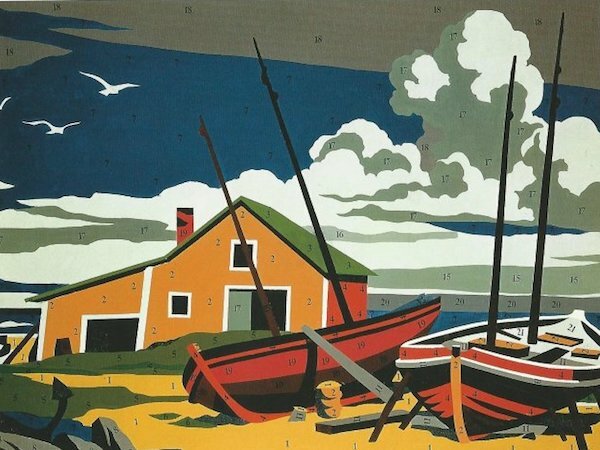 The artist behind ‘Paint-by-Numbers’ hobby kits Dan Robbins has died at age 93. He passed away Sylvania, Ohio. Robbins worked for paint products firm the Palmer Paint Company of Detroit Michigan in the 1940s when he invented the kits. By the 1950s millions were being sold across the US, and it ignited a craze for homemade DIY art. 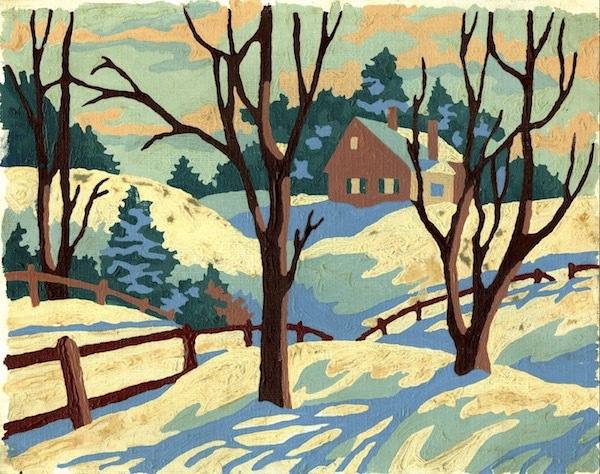 Now every Post-War home could be graced with an original oil painting! In the 1960s Andy Warhol appropriated Robbins’ imagery in order to create a series of paint by number paintings. They acted as a statement on the Post-Abstract-Expressionist art world by playing on collectors snobbery. Art-lovers who wouldn’t be caught dead with one of the kitsch originals were willing to pay thousands of dollars for the Warhol version. Robbins’ inspiration for the idea came from Leonardo de Vinci, who used a similar method when teaching his apprentices how to paint. The kits included canvasses with a drawing and printed numbers which correspond to numbered pots of paint. A paint-by-number Exhibition was mounted at the Smithsonian Institution’s National Museum of American History in 2001. Dan Robbins was a designer doing freelance artwork for advertising agencies. 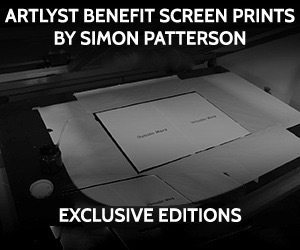 He also created package designs and children’s colouring books for Max Klein. 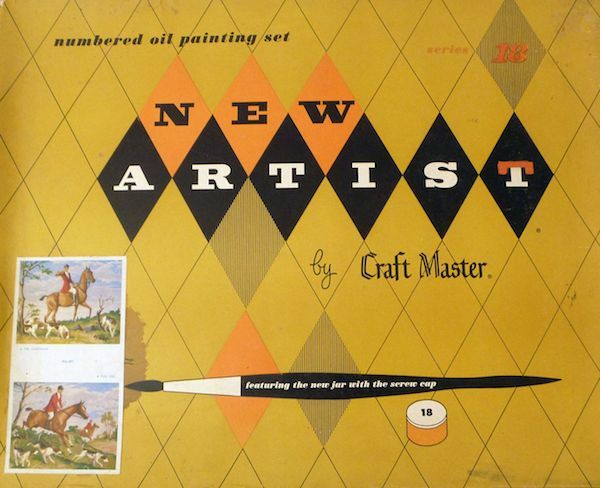 The paint by numbers kits were not a big success when Klein and Robbins attempted to sell them in 1949 under the Craft Master label. Under the name of Craft Master, they produced the first paint by numbers kits. After creating the first 30, Robbins hired artists to help him with the tedious task of making the outlines, creating transparent overlays, painting, printing and proofing artwork. Both Klein’s and Robbins’ wives spent time painting samples for Craft Master to test and display. In 1959 Klein sold Craft Master which he set up as a separate company after the product became so successful. It has since gone through several ownerships. The exhibition Paint by Number: Accounting for Taste in the 1950s revisited the hobby from the vantage point of the artists and entrepreneurs who created the popular paint kits, the cultural critics who reviled them, and the hobbyists who happily completed them and hung them in their homes. Although many critics saw “number painting” as a symbol of the mindless conformity gripping 1950s America, paint by number had a peculiarly American virtue. It invited people who had never before held a paintbrush to enter a world of art and creativity.